So THIS is a commission I took AGES ago, and a lot of the delay was it just sitting on my hard drive when I got hit hard by depression, and couldn't do anything, couldn't draw, couldn't nothing. 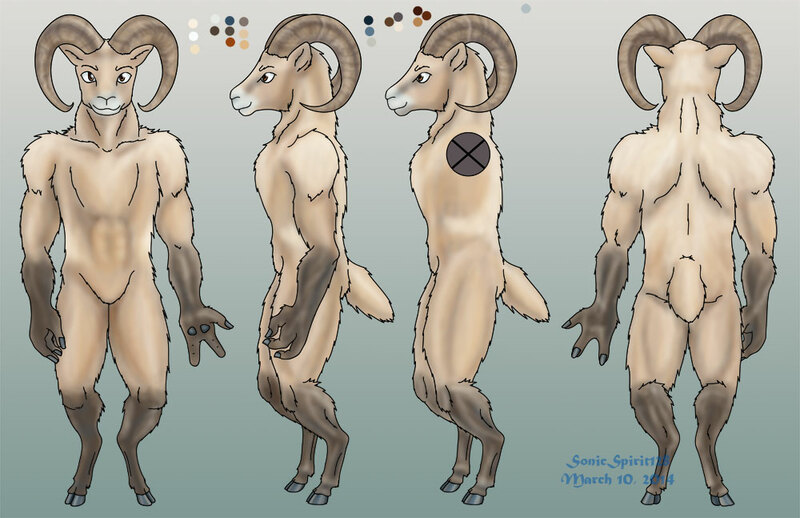 Anyway, this's for my buddy Clyde, who's a ram--I kinda did all the digital painting on it in one go yesterday! I mean, the drawing, ink, and base fills were already done, and initially I was just planning to toss in the markings on his muzzle and legs, and...then this happened! I probably still owe him a few more drawings for the character sheet, but here's this for now! No junk, and the abs are pretty off-center, but whatever! I considered putting a big ol' "NO!" over his junk/lack thereof. May still do it!